Fashion is open to interpretation. Everyone sees and creates a look based on what they see in their minds. The looks created in our minds, do not always fit in the category of what is "in' and most often, people tend to have the similar ideas. Since we are currently in the summer season, I wanted to make a post about my interpretation of the most "perfect" summer outfit that I have created in my mind. 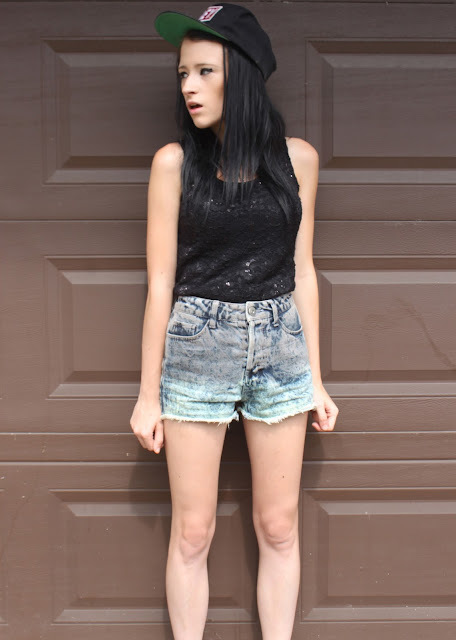 In my interpretation of the most "perfect" summer outfit, a "perfect" summer outfit contains high-waisted shorts with a top tucked in, oxfords, and a graphic hat. I decided to turn my interpretation into reality. For the outfit, I wore my high-waisted shorts that are mainly grey and shades of blue with a black laced shirt tucked in. I did not really have many oxfords to choose from for my outfit, since most of my shoes are back in NYC. So, I tried to choose a pair that I had with me that would match this outfit the most and the ones that matched the most were my gray oxfords. 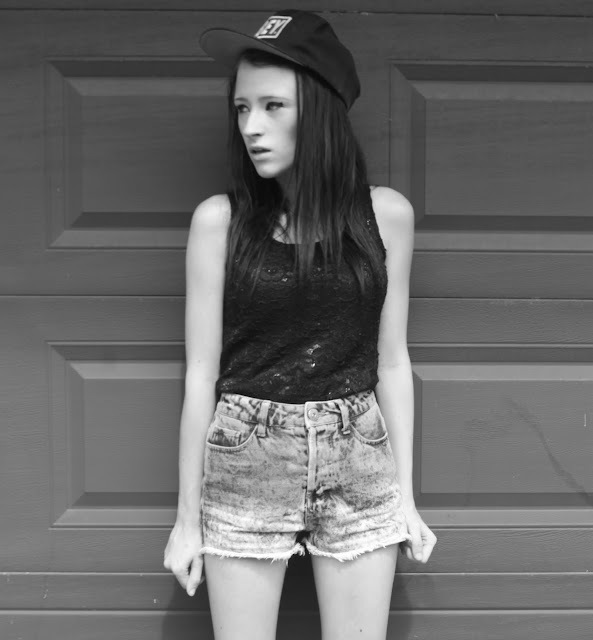 I also wore my boyfriends Obey hat just to keep the look under my style. Well, I hope you like this look! Leave comments below! :) Have a great day everyone! Cool outfit! Those shorts are really fab! I'd love it if you dropped by to my blog at www.JuneWantsItAll.com and if you like, we could follow each other! Glad you took time to leave a comment on my blog. Blog modowy What is in the hat? KLIK! Great summer outfit, I'm still looking for the perfect pair of oxfords. I love your shoes, totally amazing.